Sampled the Kosher meal aboard a short (GVA-LHR) CE sector yesterday, very impressed with both the size and the contents. Meal was a (huge!) 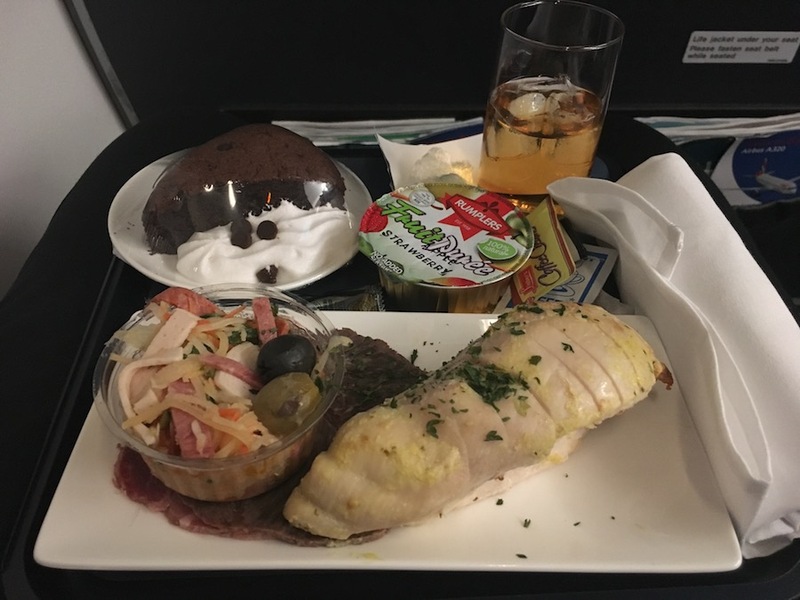 chicken breast with beef, served with a pickle of vegetables, BBQ crisps (not shown above), a pureed fruit cup, and a slice of chocolate chip cake. The rest of the cabin had the mozzarella & tomato panini or prawn salad to choose from. Suffice to say the guy sat next to me was looking quite envious!